Post-Pipers Ball — Thank you! Just winding down after celebrating our 4th Pipers Ball and I am coming to the conclusion that we have some very enthusiastic fans who support us in our pursuit of always raising the bar. What a fun evening it was in Rockville Centre with over 350 in attendance. 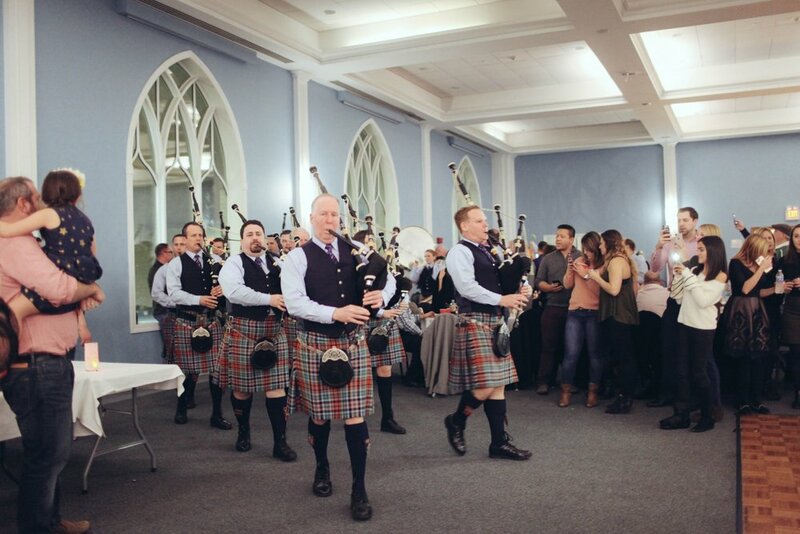 They were treated to an evening featuring music from Jameson’s Revenge, The Mise Eire Irish Dancing School & a performance from NYMetro Pipe Band. It was so refreshing to see all the local Pipe Bands showing up, raising a Pint with us and showing what a great and supportive and appreciative Piping community we have in the New York Tristate area. Add seeing so many of our friends and family in attendance, an open bar and hot food it is a formula for a great night. From P/M Michael Mahoney, Lead drummer Adrian Mordaunt and every member of the New York Metro Family we thank you and sincerely want you to know you inspire and energize our mission. Well, everyone did their job and made light work for many hands. I know that you always fail to mention someone when you start mentioning people but I would be remiss if I didn’t single out Pipers Kevin DeFiore, Andy McCarrick, Tommy Munks & Brian McGuire for organizing the night. 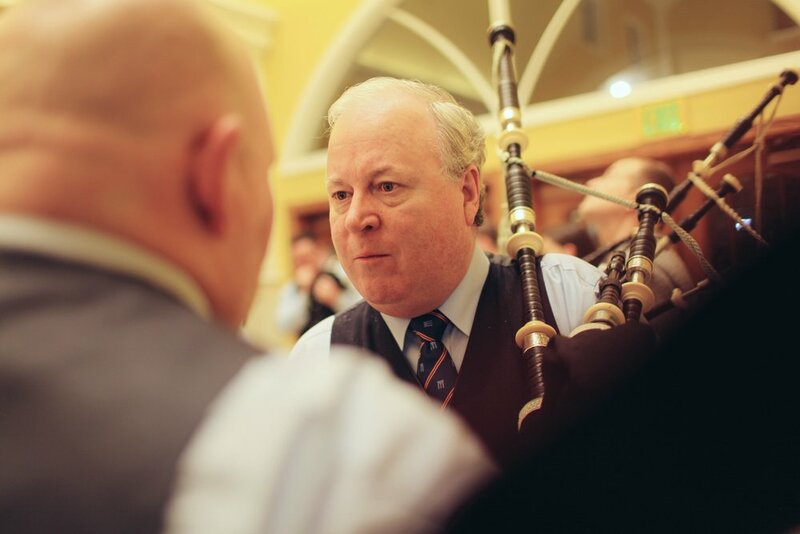 And, Pipers Jim Lee & Mike Morrissey for keeping everything moving that night. Thanks to Patti Love tending to all those little touches that make sure the evening was done with class. Last but not least everyone in the band & their families played an important role in the evening’s success. So big “Love & Thanks” go out to you all for helping out. Among the best parts was an amazing line of apparel created for us by our friends at South Shore Customs Our guests loved the shirts and hats so much we were almost completely sold out! Look for more cool NY Metro swag coming soon and check out at South Shore Customs for your next cool apparel needs. We’ll have our online store up and running soon! While the awarding the Raffle prize was a little lengthy it made for a sense of fun watching how many people went home feeling good about winning something. Of particular note was Rich Jones of Massapequa, NY who won a coveted bottle of Balvenie Double Wood 17yr Single Malt that was donated by the Wm Grant Distilleries. We appreciate their continued support. Another highlight for the Pipe Band was looking at all the new members of The Pipe Band Project in attendance showing support, watching, learning and setting their own paths toward getting better. Their enthusiasm is contagious and has made them feel very much part of what we are trying to accomplish. We will be keeping our on line link up and running for a few weeks to continue to accept the much appreciated donations from people and groups who couldn’t be there. Remember NY Metro is a nonprofit organization pursuant to Section 501 (c ) 3 of the US IRS code. Your donation to the band may qualify for an income tax deduction in accordance with Federal and/or State income tax laws. Please consult with your tax advisor to determine whether your donation is deductible in whole or part. Nothing in this communication is intended to constitute legal or tax advice. Week 3 of The NY Pipe Band Project coming 01/29/17. 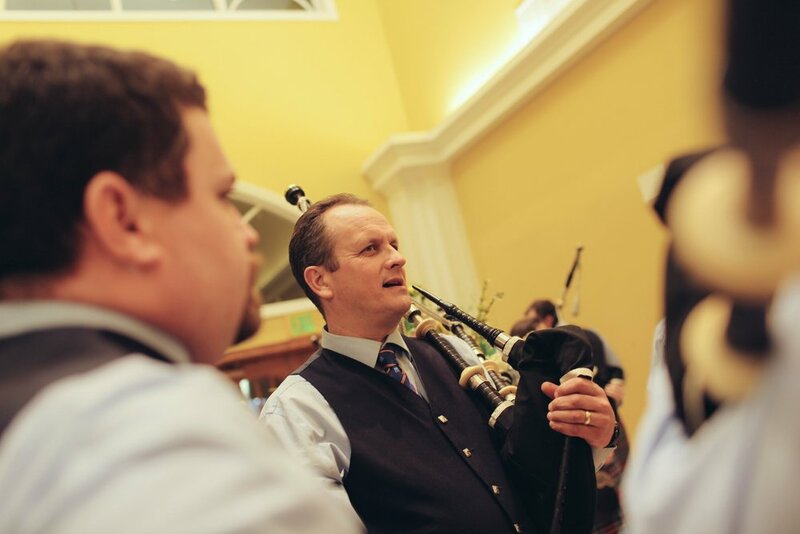 Things are taking shape in the new developmental pipe band that has become known as the “NYPipe Band Project” we are making it a project to use our resources to help develop pipers and drummers in a band environment. Robbie Beaton has been and will be working every week to develop winning habits in technique, sound and music. This coming Monday Gleren Meneghin comes on board the team to help guide and develop the Drum Corp. A friend of NY Metro who came into the area recently. 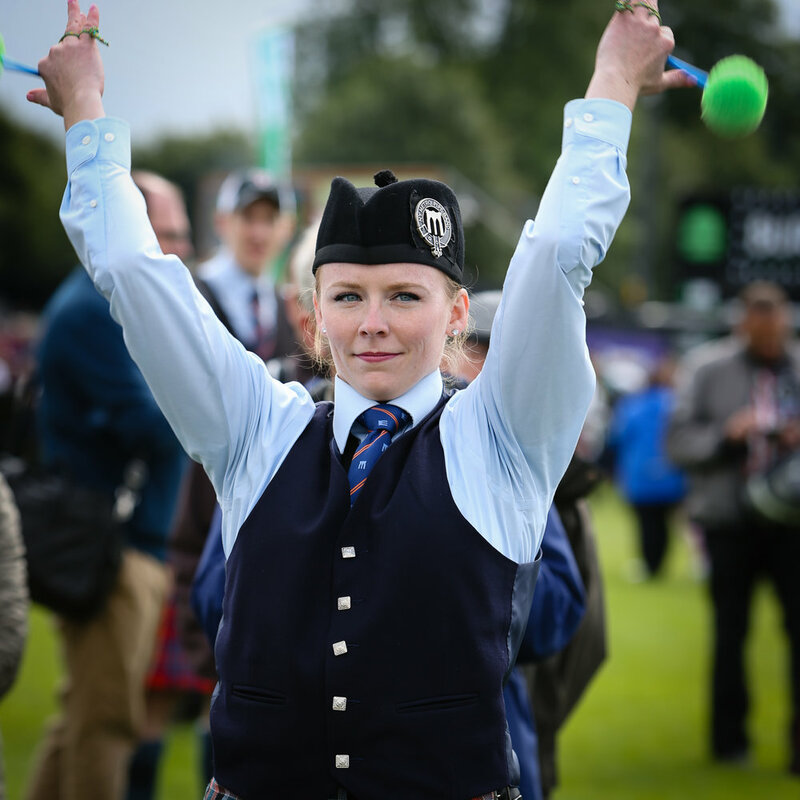 With more than 10 years of experience in the Grade 1 circuit, Gleren was a member of the Boghall & Bathgate Pipe Band whom he's won multiple awards including the World Drum Corps Championship title. 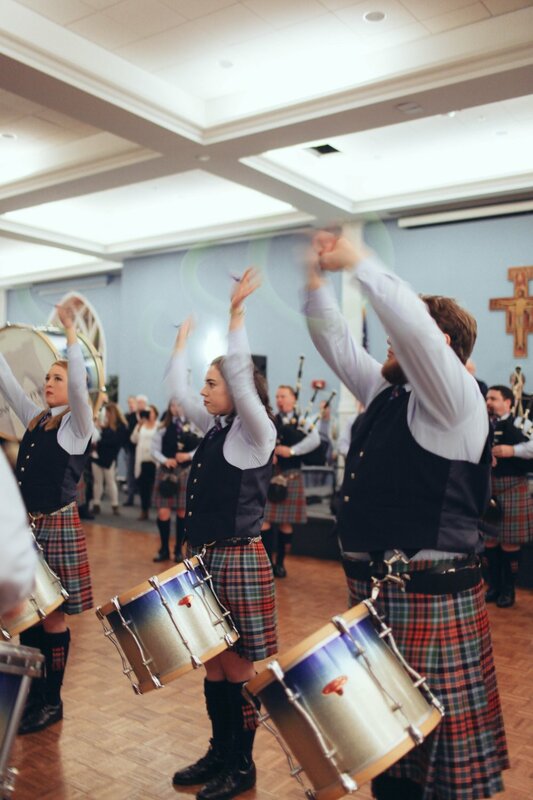 Together we feel that the Pipe Band Project provides an ideal experience for anyone looking to challenge themselves to grow musically. We will be organising a series of indoor solo and quartet contests in the near future. In addition we will have recitals and workshops with our in house resources and friends who are in town both for “The Project” as well as the general public. Read more about the NYPBP in a previous post here. NYMetro Pipe Band Club to debut this month a byproduct of our year-end 8 week “Open training Program” was having a pool of motivated talent wanting to continue on after a lot of the players went back to their bands. So we are proud to announce that NY Metro will move forward with a developmental program in 2018. 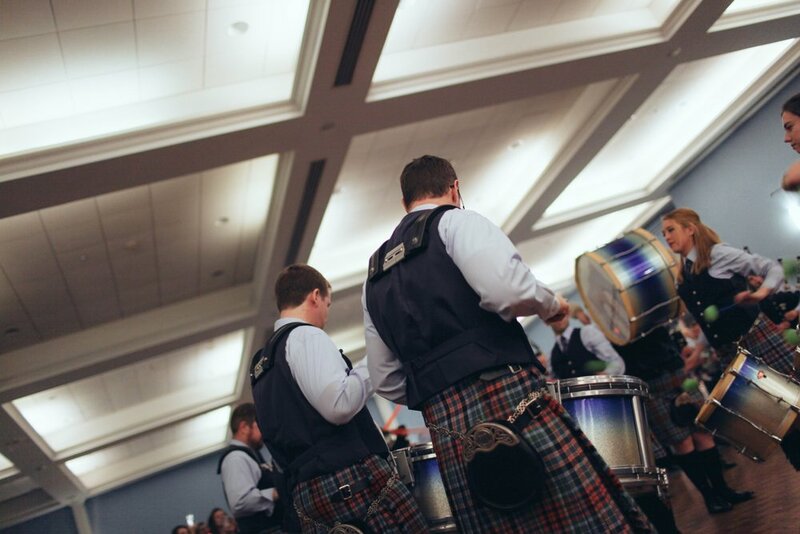 Starting Monday Jan 15 the “NY Metro Pipe Band Club” will be holding weekly classes on Monday evenings at Molloy High School from 7:30 PM till 9:30 PM. To avoid conflicts with our Grade 2 Rehearsals on the same night we have named Robbie Beaton as the primary Instructor charged with shaping their direction. As we do not have a sponsor or deep pockets the model as it is currently constituted calls for weekly $10 dues to support consistent world class instruction. NYM players will also work within Robb’s curriculum and assist instruction via monthly workshops and Robb will is available for 1x1 sessions with interested players. As there are no rules we will tweak the model according as we learn what works best in this area and benefits the players. Robb is the current Pipe Sergeant of the Grade 1 78th Fraser Highlanders in Ontario and is currently living in the area while getting his Masters degree. 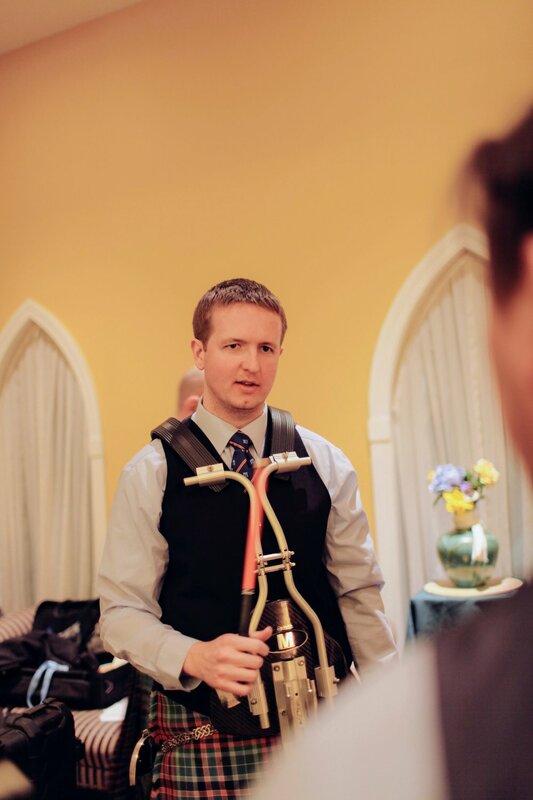 He is a regular instructor at workshops and has worked with Maureen Connors very successful Scotia Glenville program upstate NY over the years so he has a wealth of experience to share with these musicians. Robb is seen on the rightin a picture with Willie McCallum after winning the Silver Medal at The Kansas Winter Storm 2 yrs ago. Our goal is to create an environment that fosters musical growth and gives these players an opportunity to reach their potential without putting labels on them. We have the numbers and early indications suggest that the group will be destined to be a competitive Grade 4 band but there is no rush to hit the field. We hope to find challenging projects and performance opportunities for the group to share in that will help them grow as a Band. When Robb feels the time is right we will enter a few contests for that aspect of their growth potentially as early as sometime in the 2018 season. We will rotate drumming instruction to the 9 or 10 snare drummers that have interest amongst our talented corp and potential Guest Instructors but inevitably will be looking to appoint a primary instructor to help us move their growth up stream. Drum Sgt Adrian Mordaunt adds “Both the pipers and the drummers that will be involved in this program all have the potential to contribute to our Grade 2 band at some point and our intention is for this experience to accelerate that journey. It also gives a place for some of our Grade 2 players that have “Normal Life issues” that temporarily limit the time they can devote to the band in a competitive season to stay active while helping contribute to a winning culture. I don’t know of any other Band that has set up a system like this”. You don’t have to have participated in our Open training program to be involved in this new venture. The Band gets to share a performance to the “Home Crowd” that may not always get to hear us live. We also are lucky to have the band Jameson’s Revenge add to the evening’s entertainment as well as some Irish Step Dancing show cased by the Mise Eire Dancers. Reservations really help in planning of the buffet and refreshments of beer & soda so please reach out to us at NYMetropipeband@gmail.com to arrange for tickets and payment of $40 per person. We have tables of 8 or 10 and there is sure to be plenty of Swag on hand to purchase to support our mission. We are offering a 2 month opportunity to actively work out with a successful program and sharpen your skills. Starting this fall, NY Metro will be hosting training and rehearsal sessions for those interested in working with our Grade 2 band to see how we rehearse, how we tune and how we work together to pursue musical excellence. Our ultimate goals are to welcome new players to the Grade 2 band as well as field a competitive Grade 4 or Grade 5 band for the 2018 season. Message us for further details or check out our FB page to be up to date with the band's news. Feel free to share with anyone interested! The band was over to Scotland this past week - August 4th through the 11th - for the annual World Pipe band Championships, most commonly named "The Worlds". The event, held in Glasgow, regroups the best bands from around the globe. New York Metro was competing in Grade 2 against 24 other bands - spanning Australia, Canada, and the U.K. Most of the band members flew in on the Sunday prior to the competition for a full week of practices, polishing the last pieces but most importantly - getting tuned up at the local pubs. 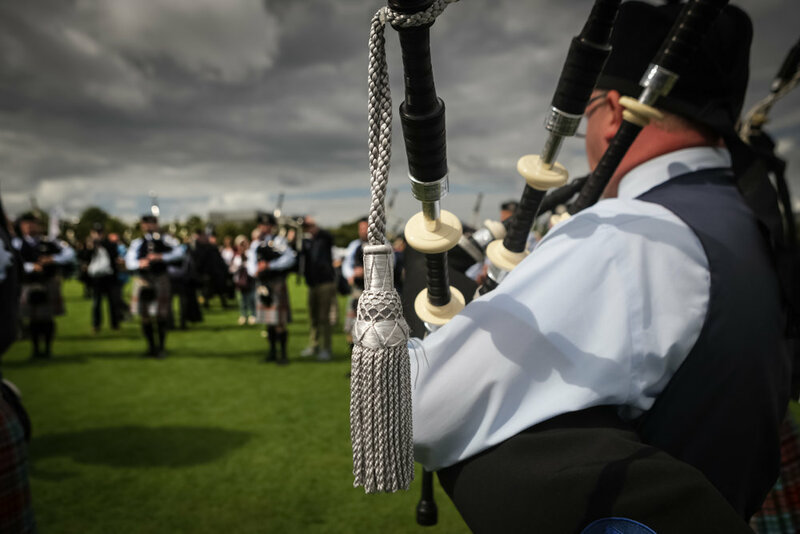 The week is also a perfect time to spend time together, have fun and give our best at the biggest pipe band event of the year. On the day, the band played their Medley "The Big Road Brusher". A good performance but not enough as we finished 8th in our respective heat - very close to making it through to the finale. The Grade 2 event was won by the Scottish-based band, Glasgow Skye. Congratulations to all the bands, players and of course, Inveraray & District for their first win in the Grade 1 circle. Needless to say, given the result - the band had a great time together and already getting ready for the next season! Get your NY Metro Challenge Coins! NY Metro Challenge Coins are being minted and will be available for sale the first week of June. For a tax deductible $20 donation we will send you a 1 ½ inch collectible coin featuring art work from our old bass drum on one side and our new bass drum on the other side listing some of our highlights. If you are interested we offer Pay Pal as a convenience to pay and we will mail the coin to you from a thankful rank and file. Since the early 1930s, custom challenge coins have been used to promote friendships, strengthen bonds, and encourage success. For a nearly a century, military personnel have created personalized challenge coins and used them to raise awareness and funds, educate the public about pressing issues, and honor exceptional individuals within a unit in the Army, Navy, Air Force, Marines, and Coast Guard. Fun: If you have a coin you can challenge someone from within our ranks to produce their coin. If they don’t have it they buy you a drink. If they produce it you have to buy them a drink. Amazon Smile: Doesn’t cost anything extra to help support us! If you use Amazon.com they have a program called Smile that donates a % of any purchase to a not for profit organization of your choice. When you login and check there is a default organization. Our Pipe band, NY Metro Pb Inc is on record with Amazon as a not for profit organization. So, if you have Amazon account, go to: smile.amazon.com to log in and select charity. You can type in NY Metro PB Inc and we will come up to make it your default. Doesn't cost you anything and the band gets a few bucks. Pretty cool!